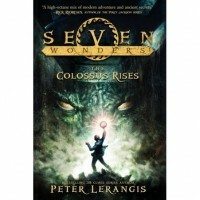 Peter Lerangis’s The Colossus Rises, the first book in a seven-part adventure series for children, was almost like a calling when I came across it online. The cover immediately screamed ‘ADVENTURE!‘ and the praise from Rick Riordan made The Colossus Rises something that I had to check out in order to to fulfil the needs of that young adventurer within me and to fill that hole deep down inside while I wait for Rick Riordan’s next book in the Heroes of Olympus series. Sure, those who enjoy Riordan’s books will enjoy Lerangis’s new offering, but The Colossus Rises seems to lack a certain vitality and depth that Riordan’s books always have. Of course it is a book for children, but older readers may struggle to maintain an interest in Lerangis’s obvious and frank storytelling and characters. Nevertheless, The Colossus Rises is a solid introductory start for a new series for young adventurers of fantasy and mythology to be swept up in and to follow.The first book in the seven-part Seven Wonders series introduces Jack McKinley who is kidnapped suddenly and wakes up at the Karai Institute, a scientific organisation set on the hidden island of Atlantis. Jack soon learns that he is a carrier of the rare G7W gene marker, which, if not treated properly, may end his life tragically in his early teen years until a cure is found. However, with this gene marker comes abilities, special talents that will aid the Karai Institute in finding this cure, a cure that involves unravelling and discovering a mix of history and myth in this slightly hidden reality. The cure is hidden in the Seven Wonders of the Ancient World, so, therefore, this series sets the reader on a journey and adventure across the globe with Jack and the other G7W carriers, Cass, Marco, and Aly, as they locate the seven magic loculi, that when fused, have the power to save them.The young quartet of characters make for interesting dynamics as they are thrown into an adventure while they slowly understand the extent of their varied abilities. Jack, Cass, Marco and Aly, to be honest, are a pretty average cast of protagonists for a series such as this. Although their friendship, trust and never-give-up-never-leave-behind attitude blossoms throughout the book, it does not compare to that of the band of heroic characters in Rick Riordan’s Percy Jackson and the Olympians and Heroes of Olympus series. The characters were enjoyable to read about as they try to ultimately save themselves from that certain thing called death, and I only hope that each of the characters develop further as the series progresses in the next six instalments. 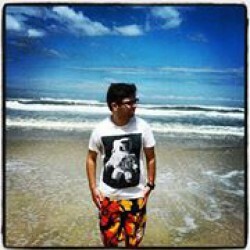 For reiteration, younger readers will take an interest in each of the lives of Lerangis’s characters, mainly in Jack’s from the first page.The Seven Wonders series will be a new series that I will recommend to fans of Percy Jackson and to those that enjoy adventures with little knowledge given of what may lie ahead. There are a few twists here and there, but they’re not as executed as I had hoped. At times I felt no emotional connection to some twists as they occurred so early on that I had no emotional connection to the characters that the twists in the plot were happening to. And also, as a reader, certain twists were slightly obvious as to how they were going to play out further along in the story. Young readers will be invested in the mystery and mythology of the adventure Peter Lerangis throws them on. If not, then the Seven Wonders series will just become books that they will go to just to have something to read until Rick Riordan comes out with his next blockbuster. Lerangis has some larger shoes to fill, even if Riordan did praise The Colossus Rises. I generously give it three stars.